Lobbying for the Lobster! There’s really no need to influence you at all – our S490C – Bright Sterling Silver Lobsters with a 3.7mm Outer Diameter Closed Jump Ring – speak for themselves! One of our most popular jewelry clasps with a soldered closed ring for extra security. Quality at a great price. It’s gets my vote! 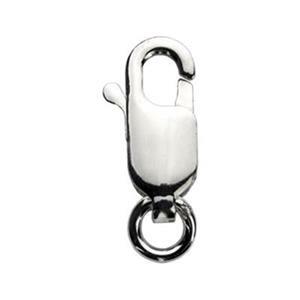 Lobster clasps contain an internal steel spring for long-lasting wear. This is a very nice clasp of high quality. The size was a little small for my purpose so I ordered it in the larger size and it's perfect.